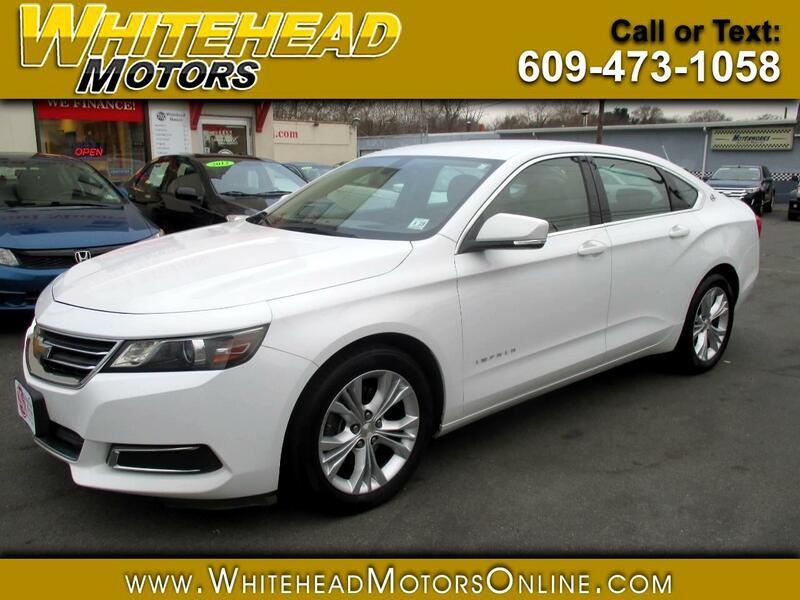 Get behind the wheel of our One Owner, Accident Free 2014 Chevrolet Impala 2LT that's proudly displayed in a beautiful White Diamond TriCoat! This sedan features a 3.6 Liter V6 that offers 305hp and delivers near 29mpg on the open road. Combined with our smooth-shifting 6 Speed Automatic transmission, our luxury-tuned suspension allows you to cruise down the road in style. It's easy to make a powerful first impression in your Impala 2LT with the bold, aggressive, and thoroughly modern design. Check out the unique alloy wheels! Enjoy premium power adjustable front seats, wood grain trim, a leather-wrapped steering wheel with mounted controls, power accessories, dual-zone automatic climate control, MyLink infotainment with a touchscreen, and other incredible amenities as seen in our photos. Advanced safety systems abound on this Impala with Stabilitrak, multiple airbags, and anti-lock brakes. Give your family the security, performance, and comfort that only come from owning our Impala. Print this page and call us Now... We Know You Will Enjoy Your Test Drive Towards Ownership! Get Approved In Minutes at Whitehead Motors. We Make Car Buying Easy.